I think the guy standing next to him is the owner, since he had a camera and might have been taking it on a shoot, but I love that he acted like it wasn’t his. Or maybe the owner was watching from afar. Pretty funny! See, had it been me, I would’ve demanded everyone know. We’ve seen this Chewbacca fella at a BART station, as the valiant Wookie with the heart of gold scared people into transit politeness. Just kidding, even Chewy can’t do that. 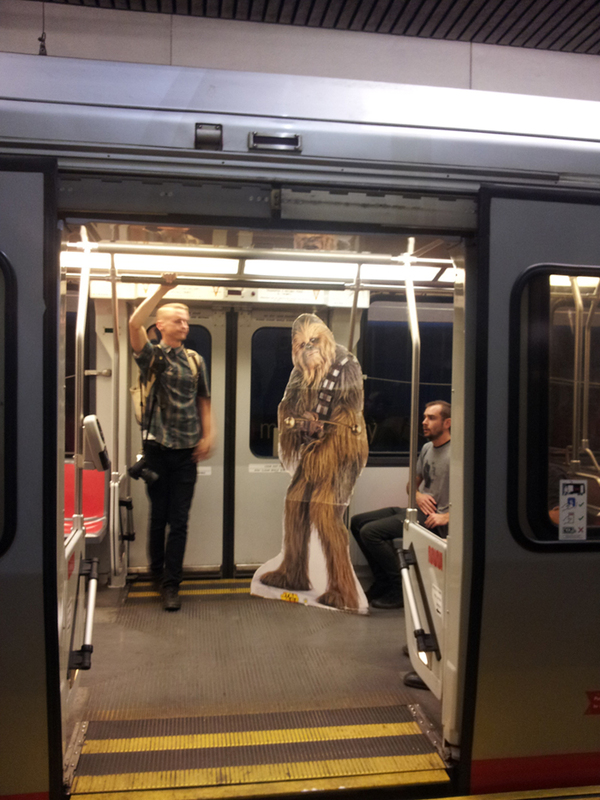 Did the fare inspectors ask Chewbacca for proof of payment?